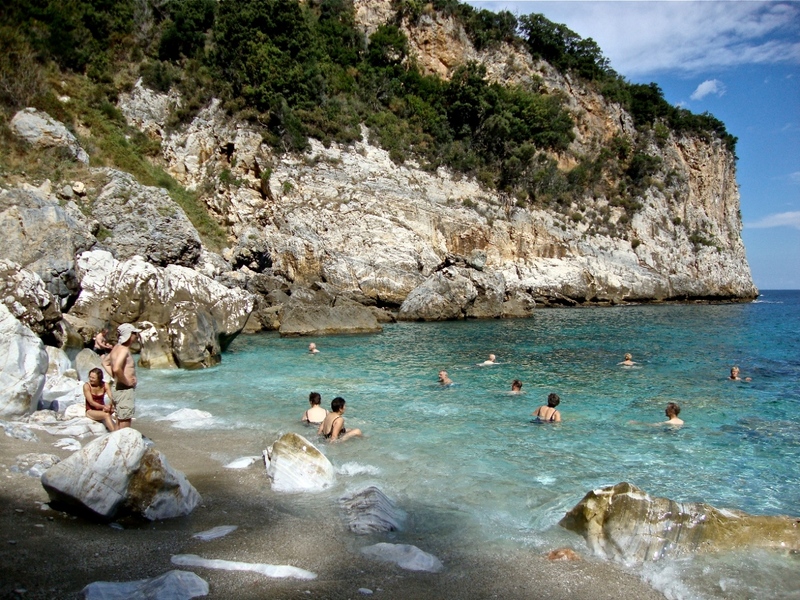 Mount Pelion, otherwise known as the land of the Centaurs is covered with lush vegetation, orchards, olive and chestnut trees. Twenty four villages emerge through the forests with their remarkable cobblestone paths and characteristic manor homes. Along the coastline we discover isolated shores drenched in a tapestry of colors, sandy beaches and picturesque fishing villages that create a perfect combination of walking and swimming while admiring stunning views on almost every route. This tour, combined with a hike through the Unesco World Heritage Site of Meteora, is a hiking lover’s dream and has something for everyone. These monasteries, stunningly built atop steep sandstone peaks (the monks used rope ladders and nets to ascend and descend) are in themselves one of the most breathtaking sites in the world and were built by the monastic community that established themselves in the area around 11th century A.D. Today, only 6 out of 22 monasteries are inhabited and accept visitors. 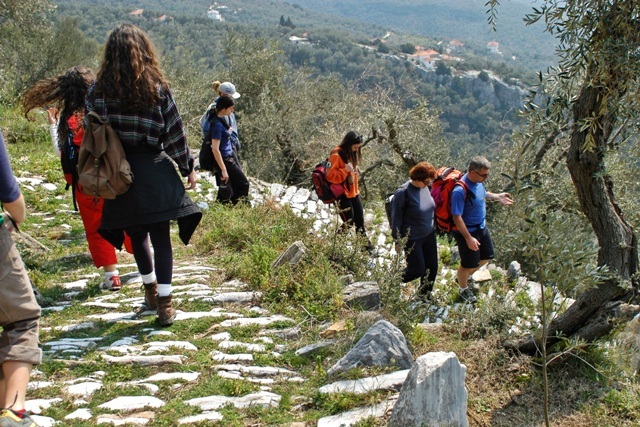 The combination of incredible hiking paths, breathtaking views and fascinating cultural and architectural uniqueness make this tour an ideal choise. Upon arrival at Thessaloniki Int. Airport (SKG) you will meet your guide. 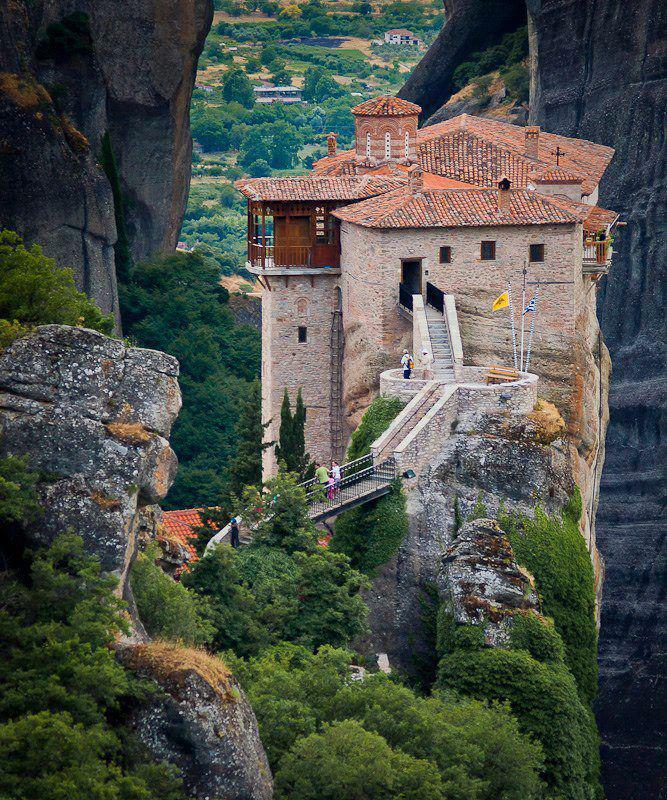 We will then transfer you to Kastraki, a village lying between the spectacular rocks of Meteora where we will check into our guesthouse for our overnight stay. A dinner in a local tavern will follow. 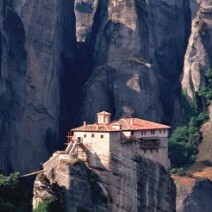 Today we’ll hike between the rocky pinnacles of the famous monasteries of Meteora, a UNESCO World Heritage Site. 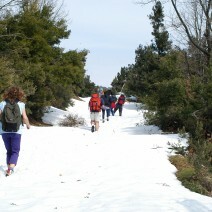 The best way to explore the beauty of this unique area is on foot. You will feel centuries of history beneath your feet as we walk on the same old trails used by Orthodox monks and come across the incredible sanctuaries they miraculously built atop these sandstone rock pillars. And we will take it slow for this is, after all, not a place where one wants to feel rushed. It is a place to experience and enjoy with all of your senses, so ample time will be given for photography and for taking this magnificence that is Meteora. 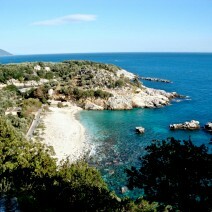 At the end of our tour, we will depart for the picturesque village of Milies in Mount Pelion. Today we will hike on an old stone path as we follow the old steam engine train route from Milies to the train station of Pinakates and continue our way for the village of Kala Nera. 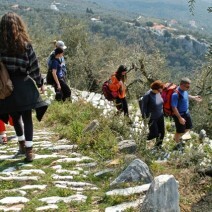 As we hike through olive orchards we will have a stunning view of the Pagasitikos Bay for inspiration. Upon arrival in Kala Nera we will swim and have lunch at a quaint fishing tavern before hiking back to Milies. Today’s hike will take us to the opposite side of the mountain. From Milies, which is on the south west side of the mountain, we will travel northeasterly to Tsagarada and Damouchari through an enchanting forest road teeming with tall chestnut trees and other greenery. In Tsagarada we will admire the oldest plane tree in Europe, more than 1750 years old, and enjoy a pleasant picnic beside a charming white chapel along the hillside. 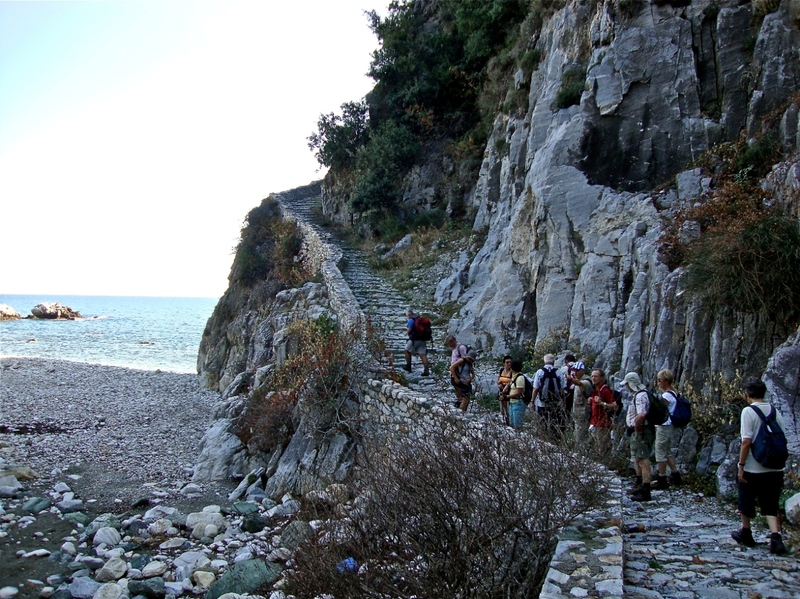 After lunch we will descend to Damouchari beach crossing of one of the most beautiful old stone paths and walk through the lovely seaside village which may be already familiar to those who have seen the movie “Mama Mia” since many scenes from the movie have been filmed here in 2007. 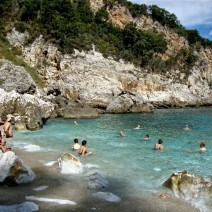 Our destination on today’s hike is the isolated beach of Fakistra with crystal clear blue water. Following the coastal path with magnificent views of the Aegean Sea, we’ll enjoy a refreshing swim at this captivating beach and a delicious picnic lunch afterwards. 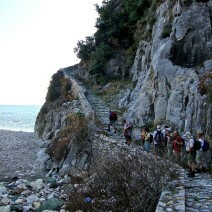 We will begin our return trek late in the afternoon along the same path back to Damouchari. 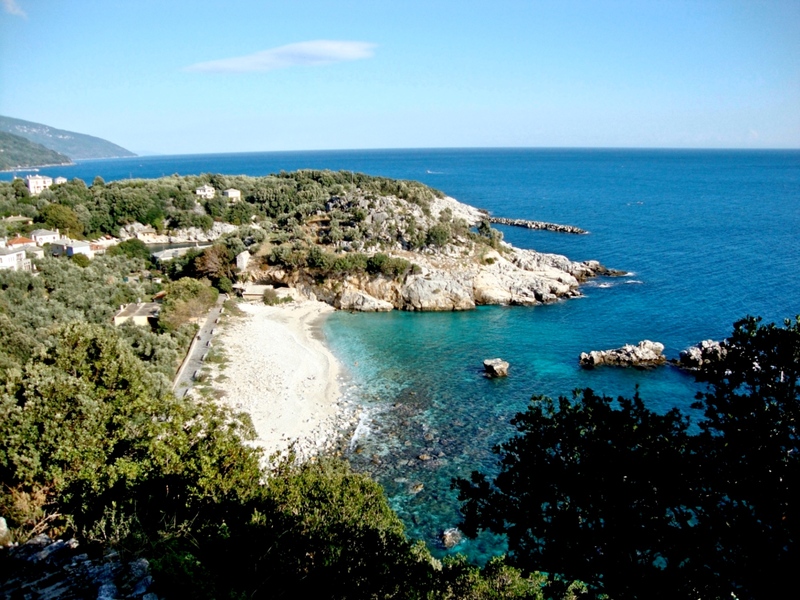 Today’s hike begins at Damouchari taking the shoreline path to Agios Ioannis and the breathtakingly white sandy beach of Papa Nero. It would be a crime not to leave ample time for a splash into the turquoise colored waters of Papa Nero before embarking upon our ascent to Chania. Meals: Breakfast, picnic lunch, dinner. Overnight stay in Chania. Today we will follow the same path that was used according to Greek Mythology by the Centaurs. The centaurs were half horse-half human creatures that constantly struggled with their two natures, one beastly and one civil. The best known however of their breed and a notable exception was Chiron, famous for his modest and learned ways. He was known for his medicinal skills and teaching abilities and was the tutor of a number of mythical Greeks such as Achilles an Asclepius. 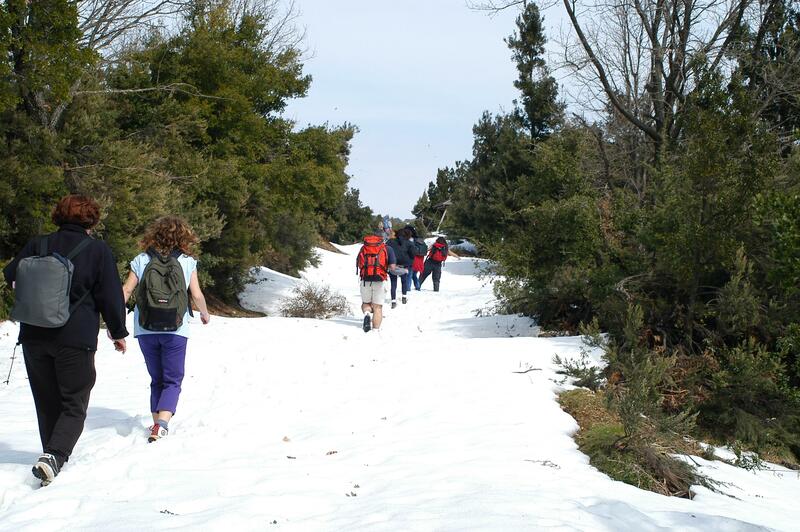 This path, which begins in Chania at an altitude of approximately 1200 meters and overflowing with Mediterranean vegetation, leads us to the village of Portaria. In the afternoon we will discover yet another incredibly beautiful village of Pelion – that of Makrinitsa or “the balcony of Pelion”. With its historic old mansions and stunning view of the Pagasitikos Bay and the city of Volos below, hence its nickname, the beauty of Makrinitsa will become etched in your memory forever. Meals: Breakfast, picnic lunch, dinner. Overnight stay in Portaria.